Mid State Solid Waste & Recycling is locally owned and operated by Brad Goodrow and Rodrigo Gutierrez. Brad is a member of the third generation in a family that has earned its living as waste haulers and recyclers here in California. Rodrigo has over thirty years experience in the waste and recycling industry and also supervises a local composting operation. Mid State Solid Waste Recycling is dedicated to providing outstanding customer service and maintaining low rates. We are committed to recycling, and collect both commingled recyclables and green waste throughout the areas served. Mid State was the first in the county to provide automated recycling service to all of its rural customers. 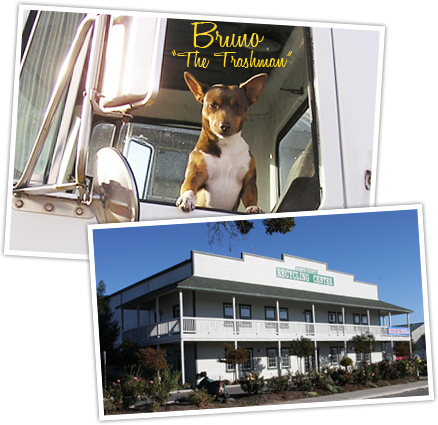 Mid State Solid Waste & Recycling provides residential and commercial trash and recycling collection services to many unincorporated areas of northern San Luis Obispo County as well as the Templeton Community Services District. Roll-off boxes, storage containers and bins are also available for rent. For more information about our waste and recycling products and services, or to inquire about renting a roll-off container or bin, please call us at (805) 434-9112 M-F. You can also request an email quote for our roll-off containers on the Roll-Off Container & Storage Bin page.